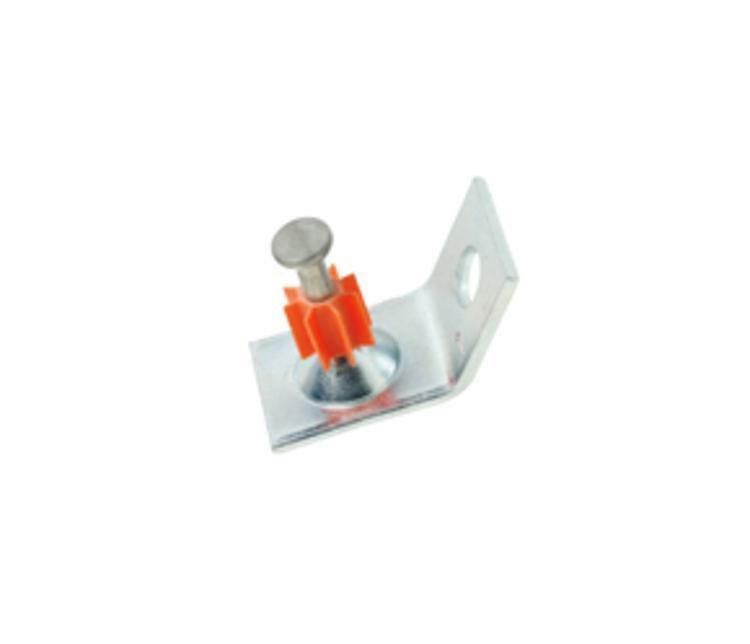 1 1/4 in ITW Ramset Ceiling Clip Assembly at Cowtown Materials, Inc. Designed for suspending ceilings and other overhead applications. Pin preassembled to a 14 gauge 45° clip.